This is a great event to take dad and the whole family to at York River State Park. Here is our review of the Surf & Turf. 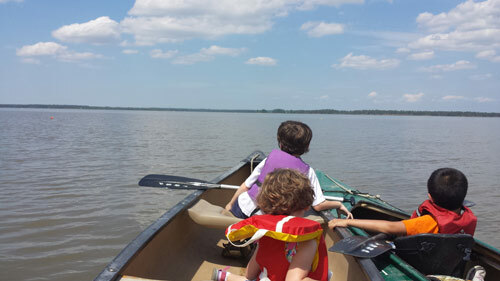 Description: Treat dad to a day on the water and fossil hunting. This ranger guided program takes our guests to Fossil beach to search for relics of the prehistoric era. Dad paddles for free with paid guest. Canoes are $9/person or $6/person (family of 4+), solo kayaks are $16, and tandem kayaks are $11/person. Please call for reservations. Prepayment required with reservation.